In our Custom Shop we can do all kind of electronical work you can imagine. 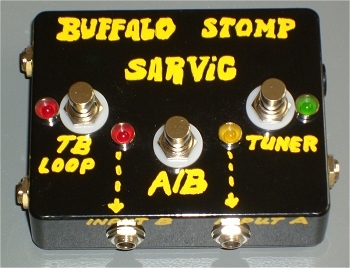 We can build a custom made stompbox or all kinds of true bypass pedals/strips and switchers for you. 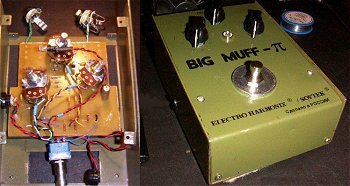 We can modify or repair your amp and your pedals, finally set up your DIY project you got stucked with or build your veroboard project into an enclosure. We also have a painting department for doing the craziest things to your enclosures. We can repair, assemble or modify your guitar and bass electronics and even rewinding pickups is not a problem for us. 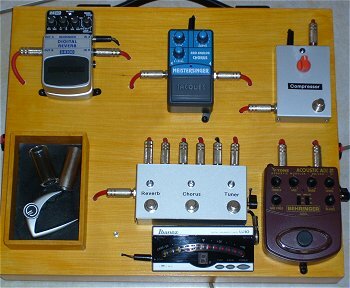 Do you need a custom made pedalboard for all your stompboxes ? We can help you ! If you are interested, please send us an email with your wishes and one of our Custom Shop builders will come back to you with the details. Please notice that we are a pure Custom Shop, so we do not offer any budget lines or standard factory produced models. If you want to read some offical reviews of our work, Harmony Central is a good place to have a look at, H E R E you can go directly to the HC overview page to select the product. We would like to show you some examples of our work, all the things here are individual custom builds, made to the exact specs of the customer. If you would like to see more or any special example, please let us know. This is a large, multi-loop True Bypass Strip with several add-on´s like tuner-mute out, stereo out, master-bypass etc. It´s a custom made enclosure out of stainless steel and powder coated by another company. All the loops have an individual status LED and inside it´s wired with teflon shielded silver cable, using Switchraft jacks. 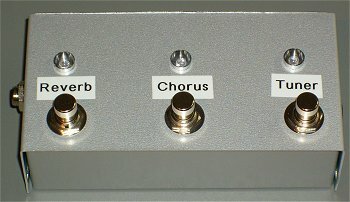 A 4-loop True Bypass Strip with tuner-mute, built into a grey powder-coated Hammond T enclosure. All the loops have an individual status LED and inside it´s hooked up with teflon insualted silver cable, using Switchraft jacks. 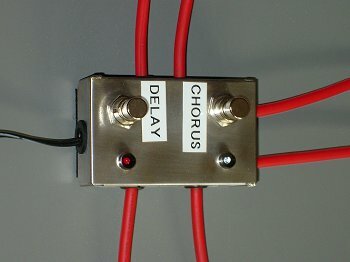 Another 4-loop True Bypass Strip with tuner-mute and tap-tempo switch, built into a Hammond T enclosure. As always, all the loops have an individual status LED and inside it´s hooked up with teflon insualted silver cable, using Switchraft jacks. 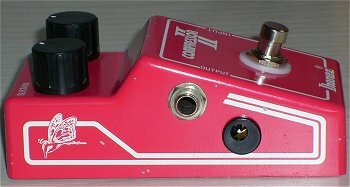 A double-loop True Bypass box with tuner-mute out, 9 volt jack and fancy colored LED´s (blue, pink and purple). Inside it´s wired with teflon/silver cable, using Switchcraft jacks and BANZAI 3PDT switches, the best you can buy for money. It´s housed into an aluminum enclosure, covered with clear-coat. 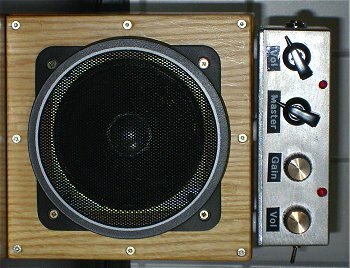 A double-loop True Bypass "spider box" with all the audio cables and the 9 volt cable directly connected to the components. This saves a lot of space, jacks and of course some soldering joints the signal has not to pass. Inside it´s wired with teflon/silver cable, BANZAI 3PDT switches and a red and blue 3mm lED in a black bezel. It´s housed into a special shielded aluminum enclosure. A combination of an A/B switcher with added true bypass loop and a tuner-mute function, all built into a black custom enclosure with a handmade paintjob. Inside it´s wired with teflon/silver cable, BANZAI 3PDT switches and colored 5mm lED´s in chromed bezelz. 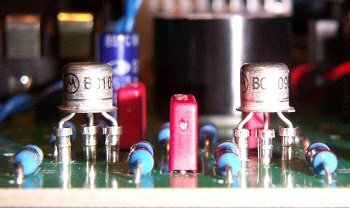 A handbuilt replacement channel switching board for a tube amp. The old one was stolen, so we finished a new one to the specs from the factory drawing. It´s housed in an aluminum enclosure and offers a status LED for the overdrive channel, getting the power out of the amp itself, so no additional battery is necessary. 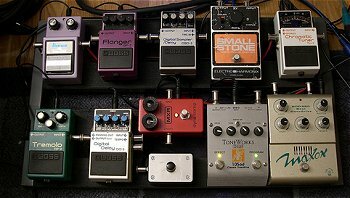 A very basic custom made pedalboard without any add-ons ... simply a very good pedalboard ! 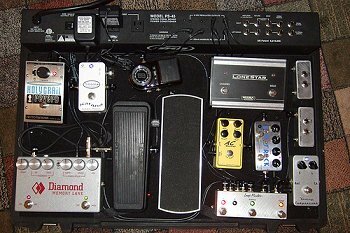 A very large custom made pedalboard with built-in power-supply (VoodooLab "PedalPower2") and a second level platform. A very special custom made pedalboard for acoustic guitar, painted in "butterscotch blonde" nitro lacquer. It offers a small true-bypass box for two stompboxes and a tuner-mute output, as well as a built-in box for the capo, slide, plecs etc. It has a sandwich construction, and all the cable routings are inside the board, so no cables on top or hanging around. Another custom made pedalboard "butterscotch blonde" nitro lacquer. 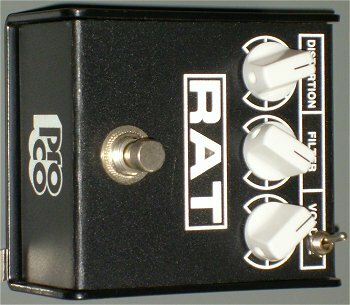 It offers a true-bypass spider for two stompboxes and a buffer with tuner-mute output in front of the signal chain. It has a sandwich construction, and all the cable routings are inside the board, so no cables on top or hanging around. 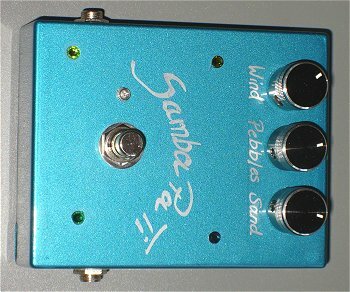 A stand-alone, true bypass buffer/line driver stompbox with a very transparent tone and no tone coloration at all. You can use it in front of your chain to get rid of the high-end loss of long cables, especially in front of an all truy bypass setup. You can also use it after all your fx stuff, directly in front of your amp to keep your tone alive when you need a long cable run. The box was also painted and designed in our Custom Shop. Heavily modded Cry Baby Wah-Wah pedal where we changed the inductor, pot, transistors, caps etc. We also removed the buffer circuit and added true bypass and a status LED. Sounds very much like an old vintage Wah pedal now. Another modded Dunlop Cry Baby GCB-95 Wah. After true bypass installation and removing the buffer circuit the guts were upgraded and NOS transistors have been installed. 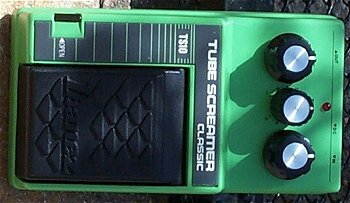 The old Ibanez TS-10 Tubescreamer was modded to exact 808 specs, even the odd 4.5 volt BIAS line was rebuilt and connected. An original JRC chip from the 80´s as well as NOS Bradley carbon comp resistors were used. This unit is as close as possible to an old and sought after 808. 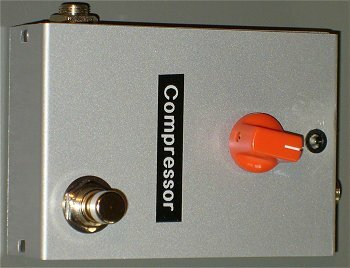 A true bypass "Orange Squeezer" compressor clone with external Volume control. 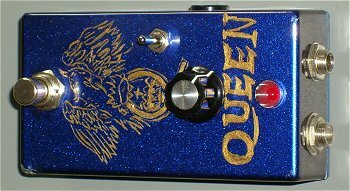 Only original NOS parts were used to build this stompbox and the enclosure was also designed and painted by our custom shop. Universal Tap Tempo pedal for Delays, Tremolos, Choruses etc. 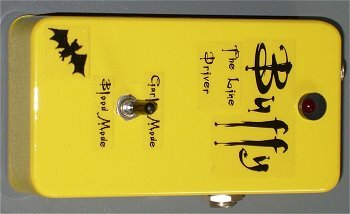 With this pedal you can use your feet to control eg. the delay time, tremolo speed etc. 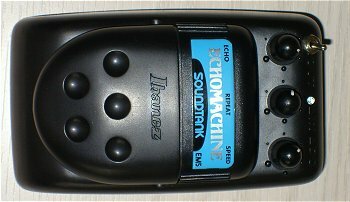 on stompboxes with a tap tempo input jack. Works with all stompboxes on the market. 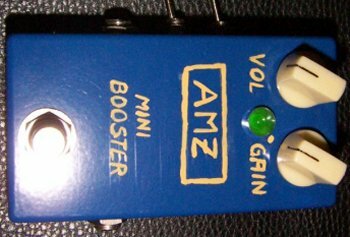 A true bypass "AMZ Mini Booster" with several mods like selectable Gain switch, "Fat" switch etc. Only the best parts are inside and the enclosure was also custom painted by us. This is the original circuit of the Fulltone "Fat Boost" stompbox. 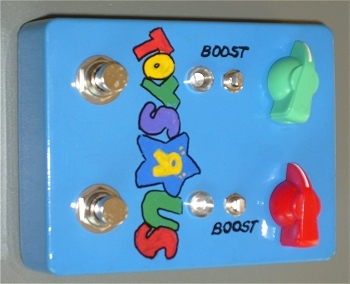 A custom made true bypass "Double AMZ Mini Booster" with two individual channels. You can cascade both channels for insane gain, and each channel offers an individual boost function. 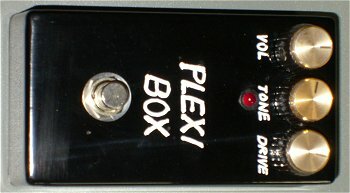 Both channels have the same sound, but different gain levels, so this box is extremely flexible. 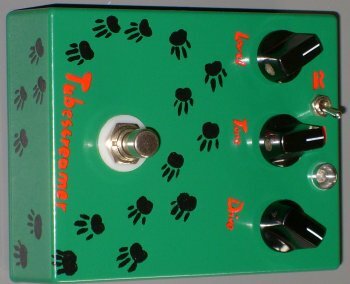 It´s build into a custom enclosure and features a unique, funny hand paintjob. 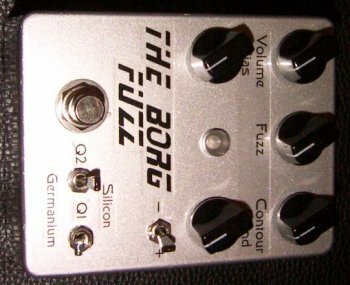 A hot rodded clone of the Fulltone "69 Fuzz" with selected and matched NOS germanium transistors that the ownder calles "The Borg Fuzz". There is also a matched pair of silicium transistors inside and you can mix germanium and silicium with two switches. 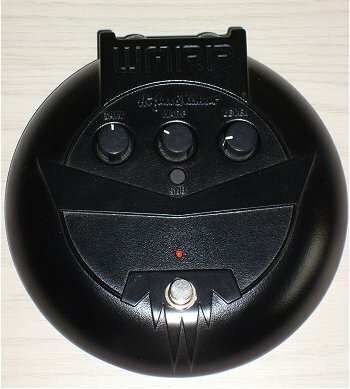 There is also a "Blend" pot that can be switched into the circuit to control the whooly bass amount when the distortion is set up high. 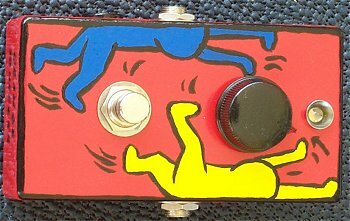 The Fuzz is true bypass and the spacey enclosure was custom painted by us. A special true-bypass overdrive box, designed to sound like an old, cranked vintage Marshall tube amp. The enclosure was also designed and painted in our Custom Shop, to match the look and feel of the old vintage Marshall amps. 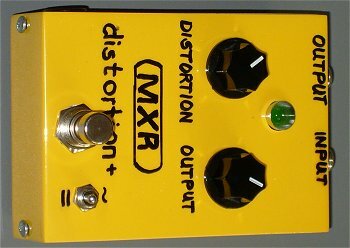 A true-bypass clone of the old, first issue MXR Distortion Plus in a custom made and painted enclosure to match the feel and look of the old MXR boxes. This clone is build like the very first Distortion Plus boxes from the early 80´s and offers switchable symmetrical/asymmetrical clipping modes as a modification to make it more versatile. The "Samba Pa Ti" is a very special true-bypass custom overdrive, developed to nail the early Santana tone from the "Europe" recordings. It is more or less a simulation of the early Mesa Boogie MARK I amp in a stompbox, using a double cascaded overdrive network to get this smooth and warm Santana-like overdrive we all know and love. It´s build into a custom enclosure and features a unique paintjob, exactly like the customer wanted it to have. 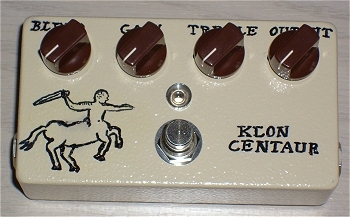 A custom made clone of the famous Klon Centaur overdrive/booster with a 4-control layout and a special "Blend" pot instead of the dual pot of the original box. It´s build into a custom enclosure and features a unique hand paintjob, to nail the flavour of the original box. 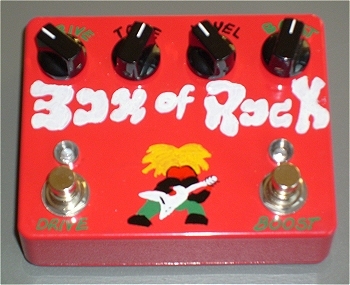 A custom made clone of the wellknown "Box of Rock", for a lot of players the best overdrive pedal ever. It´s build into a custom enclosure and features a unique "ZVEX style" hand paintjob, to nail the flavour of the original box. 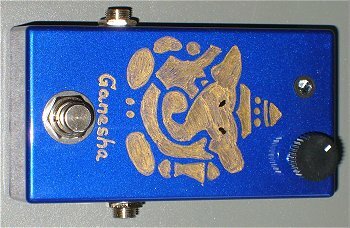 The "Ganesha" is a true-bypass clean Sitar simulator for electric guitar, based on the famous Jawari circuit. It sounds great with any singlecoil bridge pickup and a clean amp ! It features a unique custom "indian style" paintjob, showing the indian godness Ganesha. Mr. Roboto is a true-bypass ring modulator, based on the old "Green Ringer" circuit, basically an "octave up" effect with a nice grindy sound. 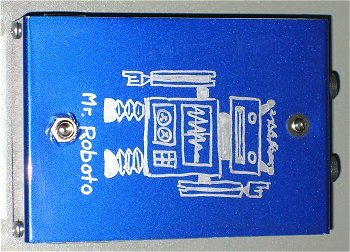 Mr. Roboto sounds more synthetical and adds a nice metallic touch to your tone. It´s a simple On/Off unit with no control and housed in a custom painted aluminum enclosure. A very special true-bypass compressor for acoustic guitar. 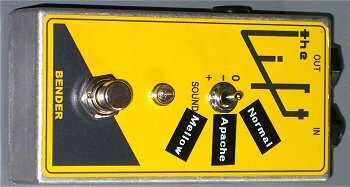 This unit is especially desigend for the use with any acoustic guitar and can pronounce any fingerpicking technique with a nice squash, without getting to prominent. It is housed in an aluminum box and offers a volume control on top. A true-bypass booster like Brian May used during his Queen era to drive his amps into saturation. The box is carefully painted by us and offers a handmade custom paintshop in 24 carat gold color. God save the Queen ! A true-bypass clone of the good old Ibanez Tubesreamer with a lot of mods. The circuit is build to true 808-specs, using NOS original parts and a NOS 80´s JRC chip. Some values are modified to offer more overdrive on the right half of the drive control and less overdrive on the left half. 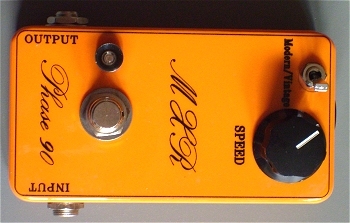 A "TS on Steroids" switch offers deep and raw germanium distortion tone. The box is painted in the original color by us and offers a handmade custom "cat" paintshop. The good old ProCo RAT was here to be modified. First of all the customer wanted a complete parts upgrade (transistors, IC´s etc.) to get rid of the noise. After this, an ultrabright blue LED was installed, white custom knobs where added and an additional switch was installed to control a "deep bottom" mod to simulate a 4x12" cab. Also the odd DC jack was removed, the polarity was changed and a standard 2.1mm Boss style DC jack was installed. The Bender "The Lift" pedal received some mods from us. First of all the crappy on/off toggle-switch was removed and a high-quality true-bypass stompswitch was installed. A blue status LED was added as well as an external Boss style DC jack. 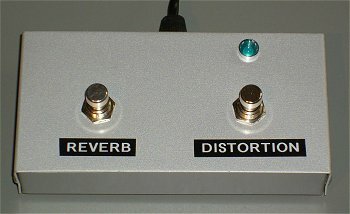 The 3-way preset switch was modified so that he customer can easily dial in the guitar presets he wanted. 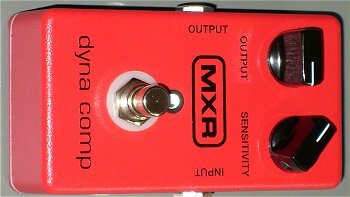 The MXR DynaComp reissue compressor received true-bypass and an ultrabright orange status LED. Black custom knobs were added and some parts were swapped for higher quality semiconductors to get rid of some noise and hiss. 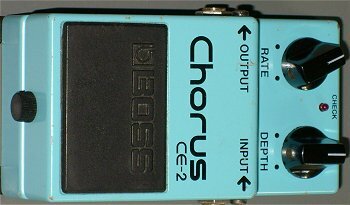 The old Boss CE-2 analog chorus was modded to generate vibrato, this mode can be activated with a push/pull pot. Custom black knobs were added and some noisy parts were swapped for ultra-silent semiconductors to get rid of some noise while still remaining all of the dynamics. 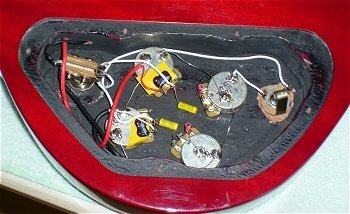 The 9 volt power section was also modified to make the chorus work with the standard PSA adapters. 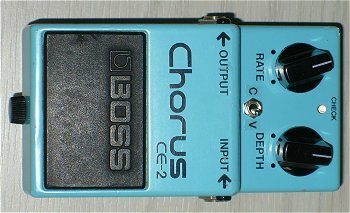 Another old Boss CE-2 analog chorus modded to generate vibrato, but this time with a short mini toggle switch. Custom black knobs were added and some noisy parts were swapped for ultra-silent semiconductors to get rid of some noise while still remaining all of the dynamics. The 9 volt power section was also modified to make the chorus work with the standard PSA adapters. 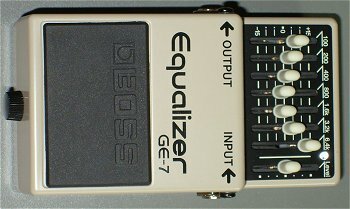 The standard Boss GE-7 is a good equalizer for guitar, but it´s noisy, especially when you boost the volume and the high frequencies. A lot of cheap parts have been replaced, to make the GE-7 sound fuller, and to get rid of all the noise, it operates dead silent now ! The 9 volt power section was also modified for more headroom and an ultracool blue LED was added to the box. 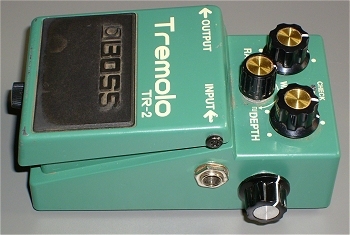 The standard Boss TR-2 is a great tremolo for guitar, but it suffers from two main problems: it´s very noisy and there is a volume drop when you engage the effect signal. A lot of cheap parts have been replaced, to make the TR-2 sound fuller and more "amp-like", and to get rid of all the noise, it operates dead silent now ! An additional pot was installed, so you can control the effect volume now - no more volume drop plus the benefit to use the TR-2 as a good sounding clean-booster ! 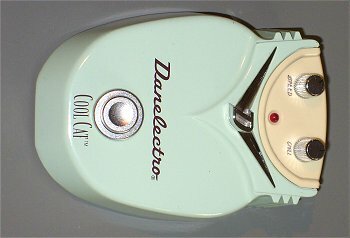 The Danelectro Cool Cat Chorus sounds pretty good the way it comes out of the factory. This 9 volt unit received an internal charge-pump to run it at 18 volts for more clean headrom. We also made a huge part swapping for less hiss and noise and modded it to the original Boss CE-1 specs. An absolute fantastic sounding chorus for a few bucks in an awesome looking enclosure ! The old and forgotten Ibanez EM-5 "Echo Machine" soundtank is still a keeper if you are looking for the perfect tube driven reel-to-reel echo simulation. 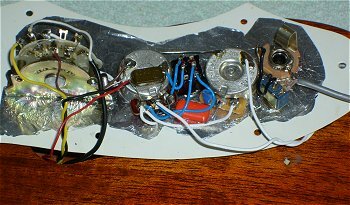 All the noisy parts have been swapped for high-grade parts and a switch was added, to toggle between tube echo and normal digital delay type voicing. This "thing" received a true bypass, new ultrabright "blood red" LED, part upgrade and was modified to enhance the forces of the night for an ultra-mean, fat distortion sound, perfect for D tunings and guitars with seven strings. If you are into metal, this may be an interesting pedal for you kind of "John 5 in a box"
Complete rewiring with silver cable of a Fender Stratocaster. We also changed the pickups, all the pots, the caps, the jack and the 5-way switch. There are also some extra gimmicks included in this custom wiring like out-of-phase switching. A very special custom wiring on a 69´Fender Thinline Telecaster. The complete electronic parts have been replaced, new pots, new tone cap, treble bleed network and a Fender Telecaster 4-way switch to wire both pickups together in series. As a special feature, a "direct through" switch and a Piezo pickup with stereo output have been installed. 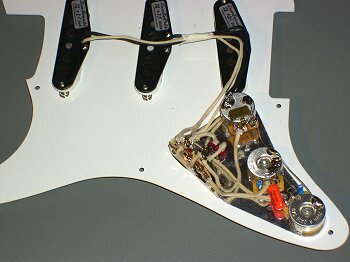 Historically correct and pure vintage wiring on a Fender 57´Reissue Stratocaster. LeoSounds "Vintage Player" Pickups, matched CTS pots and NOS Vintage Cloth Wire are the key to this magical sound. There are also some useful mods, a treble bleed network was installed to get rid of the treble loss when rolling back the volume and the "7 Sound Strat" mod was done, using an additional switch right next to the standard 5-way switch. A very special David Gilmour replica Stratocaster pickguard on a Fender gold-anodized pickguard with Fender CS 69 Abigail Ybarra Stratocaster pickups. 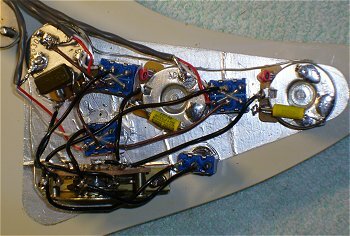 We attached the 7-sound Strat mod switch exactly the same way, Gilmour´s tech did way back in the 70´s and installed an anti-hazard and shock kit as well as a treble bleeding network on the volume pot. An aged pickguard built from scratch, with aged plastic hardware and LeoSounds 62 Strat pickups. The bridge pickup has a baseplate, the military graded pots are matched and the volume control offers a selected treble bleed network for no high-end loss when rolling back the volume. 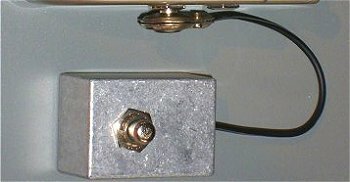 An anti-hazard kit is installed as well as a solderless output jack kit. One of the tone controls is a push/pull type for the "7 Sound" Strat mod. Everything is wired with pushback cloth wire. 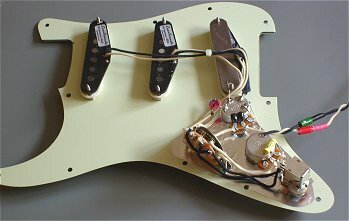 Very complexe Stratocaster wiring with individual out-of-phase switches for each pickup and different tone-caps for the bridge and middle/neck pickups. The complete electronic parts have been replaced and a treble bleed network was installed to get rid of the treble loss when rolling back the volume and the "7 Sound Strat" mod was done, using an additional switch right next to the standard 5-way switch. Everything is connected with teflon/silver wire. 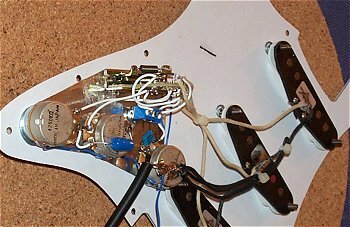 Telecaster 4-way wiring, the complete electronic parts have been replaced and a treble bleed network was installed to get rid of the treble loss when rolling back the volume. Everything is connected with teflon/silver wire. This special designed rotary switch for electric guitars will give you all pickup combinations you always wanted and in any configuration. 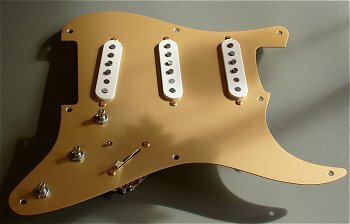 This one here is especially designed for a three-pickup guitar like the Stratocaster. You can engage the pickups in-phase or out-of-phase and seriell or parallel, whatever you want. 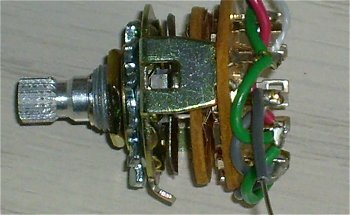 So for a Strat, this rotary switch gives you a total of 34 different sounds !!! A small travelling amp with two channels that you can easily take with you on your holidays. The clean channel sounds similar to a Fender Bassman while the overdrive channel sounds very much like a cranked old Marshall. This is another nice travelling and practise amp called "The Holiday Stack". It offers a nice sparkling clean tone as well as punchy crunch sound if needed. Pretty loud for its size and the pine-wood cab with the high-quality 6" speaker offers real guitar tone. You can put it in any suitcase while travelling and also use it to practise your guitar skills late in the evening while the rest of the family is sleeping. The amp also has a headphone jack. 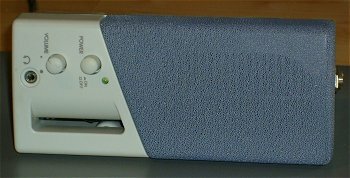 This is an ultralight and small travelling practise amp, housed in an old PC speaker enclosure. Don´t let the small size fool you, this little beast can get really loud and compared to its size, it sounds like a big one. It also contains a headphone output. 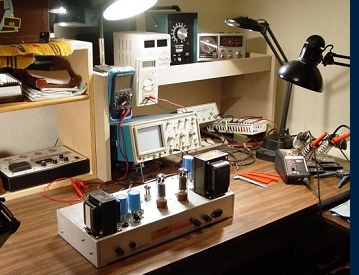 The amp can not be powered by battery, so regular 120/230 volts are always necessary. We got this old Music Man amp from a customer and it was totally beaten up ! We restored the amp step by step and also did some mods the customer required. We also completely restored the wooden cab from the amp. The amp looks and sounds great now ! This little 5-watt all tube Epiphone Valve Junior amp received a complete upgrade of all the parts as well as NOS military tubes and several mods to make it sound like an old vintage Fender Champ amp. The cab and the speaker have also been slightly modified. Another Epiphone Valve Junior amp with a complete upgrade of all parts, NOS military tubes and several mods to make it much more versatile. The speaker was also replaced for a fuller sound. ... to be continued !